Among low-income families in Southeastern Minnesota, there was a significant, unmet need for dental health care access in 2014. Seventy percent of people in Minnesota eligible for state or federal affordable health care programs went without dental care, according to Medicaid dental use data. Additionally, only 43% of Medicaid-eligible children visited a dentist. At one clinic in southeastern Minnesota, patients waited two months for a dental appointment and seven months for a dental hygienist. In order to help identify gaps in oral health care, Minnesota Tracking hosts and displays oral health and dental health care data. This data is available to the public on their Data Access Portal, allowing users to explore Medicaid dental service use by county, year, age groups and medical assistance program type. Community Dental CareExternal, one of the largest nonprofit dental clinics in Minnesota, used the Data Access Portal and found decreasing dental care access for low-income families in Olmsted County and six other southeast Minnesota counties. Community Dental Care found that their current Rochester clinic provided close to 25% of the dental encounters for patients in Olmsted County and almost 19% of all dental encounters for patients in the 6 bordering counties. In 2015, Community Dental Care used this data in a grant application to demonstrate the need for expanded care in southeastern Minnesota. Community Dental Care received a $1 million grant from Delta Dental of Minnesota Foundation (DDMF) to construct a dental clinicExternal in Rochester to serve as the headquarters for community dental health services and programs across Southeast Minnesota. The clinic began seeing patients in late 2017, and served more than 1,200 patients in just the first three months. So far, the clinic’s patient population reflects the regional need for community care: 95% of patients seen were receiving state or federal medical assistance or uninsured, 35% were children, 42% were new patients, and 14% percent of the visits were for emergencies. Estimates show that in a single year, the clinic will provide 30,000 dental appointments and oral health services for 10,000 patients. Melanoma is the most dangerous form of skin cancer and one of the most rapidly increasing cancers among Minnesotans. Since 1988, the number of new cases of melanoma in Minnesota has doubled for both males and females, with a notable increase among young women (20-49 years of age) over the last 15 years. The Minnesota Tracking Program saw a unique opportunity to use Tracking data on the prevalence of melanoma in the state to drive outreach and inform new policy. The Minnesota Tracking Program published interactive maps and charts showing trends and geographic patterns of melanoma as well as the widespread use of tanning beds among teenagers in the state. Using publicly available data, the Minnesota Tracking Program collaborated with state cancer prevention programs and other partners, including the American Cancer Society in Minnesota and the Minnesota Cancer Alliance, to inform Minnesotans about melanoma risks. 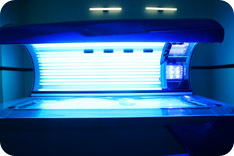 The Minnesota Department of Health used Tracking’s melanoma and tanning bed data, along with other Tracking data, to support a new state policy initiative, Minnesota’s Tan-Free Teens legislation. The department also developed a UV Video Challenge External–a cancer prevention initiative for students to create videos about the dangers of UV exposure. Though the increase in melanoma has been evident for a while, creation of the Tan-Free Teens legislation stemmed in part from Minnesota Tracking Program use of data and collaboration with partners on outreach work. The legislation, which passed in July 2014, prohibits children under age 18 years from using indoor tanning beds. Two years later, the percent of white, non-Hispanic 11th grade young women who tan indoors dropped to 9%. Minnesota is among the few states implementing this type of policy. These increases are likely the result of many factors, including exposure to ultraviolet (UV) light from both sunlight and tanning beds and better medical detection. 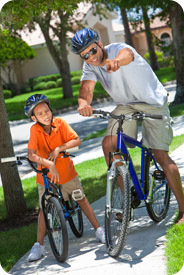 The CDC estimates that UV light causes 65 to 90% of all melanoma. And, use of tanning beds has been common in Minnesota. In 2013, nearly 30% of female 11th grade students reported having used an indoor tanning device at least once in the past year. Chronic obstructive pulmonary disease (COPD) affects more than 15 million adults in the United States, according to the Centers for Disease Control and Prevention. Millions more may have it but are currently undiagnosed. Historically, there has been no national-level surveillance data on COPD prevalence. Even today very few hospitals track the number of hospital stays for COPD. These information gaps make it difficult for decision-makers to plan public health actions and make informed policy decisions to reduce COPD. With help from the Minnesota Tracking ProgramExternal, Minnesota was one of the first states in the country to measure COPD burden statewide. Tracking Program staff analyzed risk factor, hospital, and death certificate data for the state to determine the number of COPD cases, rates of hospital stays, and death rates by race and ethnicity. The Tracking Program provided dataExternal, which showed striking disparities particularly for Native Americans compared to other groups. In 2014, the Tracking Program will publish new data on COPD hospital stays by ZIP code for the Twin Cities metropolitan area, which will aid in targeting prevention services where they are most needed. Because of the efforts of the Tracking Program, COPD data are now available for decision-makers, health care and public professionals, and community organizations who can work to reduce COPD in Minnesota. For example, the Minnesota Pollution Control Agency will use the ZIP code level data on COPD in a new state initiative to inform communities about air pollution, the Air Quality Index, and respiratory health. In addition, having these data has allowed the Tracking Program to expand its partnerships with state agencies and organizations such as the American Lung Association, which invited the Tracking Program to contribute data and content to a joint report entitled, “The Scope of COPD in Minnesota.” This report is used to raise awareness and inform decision makers about COPD across the state. Extreme heat events, or heat waves, are the most common cause of weather-related deaths in the United States. In Minnesota each year, heat-related illnesses lead to hundreds of emergency department visits and hospital stays. Planning successful prevention and response activities for extreme heat events can be difficult for public health agencies when they do not have a clear picture of who is most at risk. 15- to 34-year-olds are an at-risk age group, in addition to people aged 65-years and older. Rates of hospital stays and emergency department visits were higher in greater Minnesota compared to the 7-county metropolitan area that includes the Twin Cities. State and local health professionals used the tracking data to develop and update maps showing areas with at-risk populations. The maps show which areas need support to prepare for heat waves. Health agencies across Minnesota now have a clearer understanding of the people most at risk for illness or death from extreme heat. Each summer, they use the data to focus outreach and planning efforts. Then they use the data to evaluate the effectiveness of their prevention and response efforts and to monitor trends of heat-related illness over time. Melanoma is the most dangerous form of skin cancer. It is one of the most rapidly increasing cancers among Minnesotans. CDC estimates that exposure to ultraviolet (UV) light causes 65-90% of all melanoma. UV light comes from the sun but can also come from tanning beds. Despite the risks for melanoma, tanning bed use remains common in Minnesota. The Minnesota Tracking Program published interactive maps and charts on their state tracking network showing trends and geographic patterns of melanoma across the state. They also collaborated with the state cancer registry to add county-level melanoma data to MN County Health Tables, a resource used by state and county public health officials to guide program planning and evaluation. Since making melanoma data easy to find and use, tracking program staff have worked with state programs and other partners, such as the American Cancer Society of MN and the MN Cancer Alliance, to use tracking data to support program and policy initiatives to prevent melanoma. For example, these partners identified reducing the use of artificial UV light for tanning as a key objective in Cancer Plan Minnesota: 2011-2016Cdc-pdfExternal, a framework for preventing and controlling different types of cancer. In addition, tracking data will be used to evaluate the effectiveness of melanoma prevention program and policy initiatives over time. Secondhand smoke, also known as environmental tobacco smoke, causes cancer and other health problems in both children and adults. To help reduce exposure to secondhand smoke, Minnesota passed Freedom to Breathe legislation in 2007. 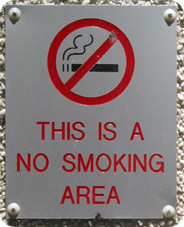 The legislation banned smoking in almost all indoor public places and indoor work sites, including bars and restaurants. In 2011, some legislators worked to repeal the legislation. The Minnesota Tracking Program maintains data on secondhand smoke among nonsmokers for the state. Tracking staff analyzed state data to determine if Freedom to Breathe legislation helped reduce residents’ exposures to secondhand smoke. Tracking staff found that since 2007, exposures to secondhand smoke decreased among non-smokers. In addition, children’s exposures decreased by 20% and adults’ exposures decreased by 25%. Freedom to Breathe legislation remains in place because the tracking program demonstrated that the legislation was associated with a decrease in exposures to secondhand smoke and because there is strong support to keep the smoking bans in Minnesota. In addition, tobacco prevention programs and others have been able to use the tracking data to plan more effective smoking cessation and awareness activities. Each year, accidental CO poisonings result in several deaths and hospitalizations in Minnesota. The highest number of CO poisonings occurs during the winter months. Minnesota took an important step to prevent CO poisonings when the state passed a law that requires CO alarms in all single-family homes and multi-dwelling units. The law was put into effect from 2007 to 2009. However, with no system to track CO poisonings, the Minnesota Department of Health could not know whether the law helped lower the number of CO poisonings in the state. Minnesota’s Tracking Program worked with the National Tracking Network to gather data and create ways to measure CO poisonings in the state. The programs put this information into a tracking report that local newspapers used to inform readers about CO poisoning prevention. Minnesota’s Tracking Program and the state Behavioral Risk Factor Surveillance System (BRFSS) are working together to collect data on the number of Minnesota homes that have CO alarms. Using data from years before and after the CO alarm law, the tracking program can follow changes in the use of CO alarms and the impact on CO poisonings and exposures. The CO alarm law and the system for tracking CO poisonings are examples of the way tracking data can have an effect on state and local policy. Minnesota state and local health agencies will use CO tracking and BRFSS data to measure the effectiveness of the state CO alarm law. Indoor air and healthy homes programs will also use tracking data to determine the effectiveness of activities to improve public health. The global climate is changing, causing rising temperatures, melting ice and snow, rising sea levels, and climate uncertainty. However, it is hard to measure the changes in climate regionally and locally. State and local health departments need help to understand climate change better and prepare for its possible health impacts. Minnesota is in a unique geographic position at the transition between the eastern forests and drier Great Plains. In this region, diseases carried by ticks and other insects or animals are common and influenced by changes in temperature and humidity. Minnesota is also located in a region where people are likely to suffer more from extreme heat. Minnesota’s tracking staff worked with CDC and other states in the National Tracking Network to gather data about and find ways to measure illnesses and deaths caused by heat. Minnesota’s Tracking Program is using data from hospital stays and death certificates to track health outcomes of extreme heat, such as deaths, heat exhaustion, and heat stroke. Minnesota’s Tracking Program is working with state and local health programs to help them to prepare for the health effects of climate change using climate and health data along with sound science. Data provided by Minnesota’s climate change tracking program will help public health officials to develop effective strategies to prepare for the health effects of climate change.